Luxurious, healthy sleep with the therapeutic benefits of Copper Ion technology. We begin with 100% Pure Latex to provide the ultimate in comfort, support and durability. Then we add Copper Ions in the sleeping surface (CuTEC™) and copper minerals in the primary comfort layer resulting in a handcrafted sleep system with therapeutic benefits. What’s most comfortable to you? How do you sleep? What materials are right for your body? Take a few minutes to learn about what goes into making our mattresses so you can choose the type that will give you the best night’s sleep. Do you prefer a firm feel or a super soft plush mattress? Maybe you’re somewhere in between. A firm mattress has a harder feel and is best if you need maximum support with little give. 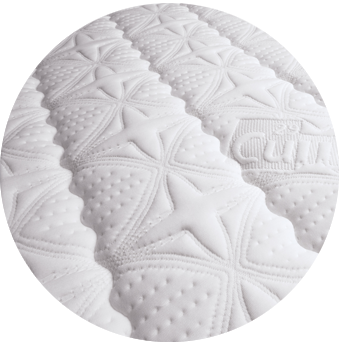 A more plush mattress offers improved give, for a lighter, more airy feel. Pillowtops and Boxtops are the softest options, built up from plush style mattresses. People who sleep on their side or back may need a more plush mattress. A firm feel is recommended for people who sleep on their stomach or back most of the time. These sleepers shouldn't be on a soft surface, or the back will tend to bow downwards, causing lower back pain. It’s important to note that mattress firmness is not the same as support. Firmness is the immediate feel when you first lie down, while support refers to how the mattress keeps your spine in alignment.You can find a mattress that offers great support while still being firm to the touch. Do you get hot when you sleep? You may want to look into a mattress that offers temperature regulating sleep. Look for a mattress that allows for optimal airflow through materials like foam and latex. Gel infused memory foam can be a perfect solution to keep your body at an optimal temperature as you sleep. 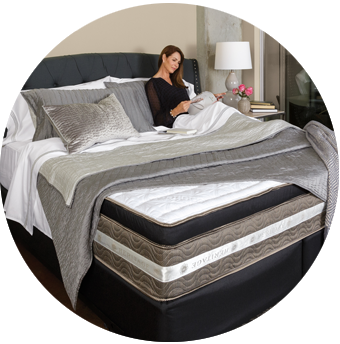 Our InMotion® Lifestyle Sleep Systems create a custom sleep experience when paired with one of our mattresses. 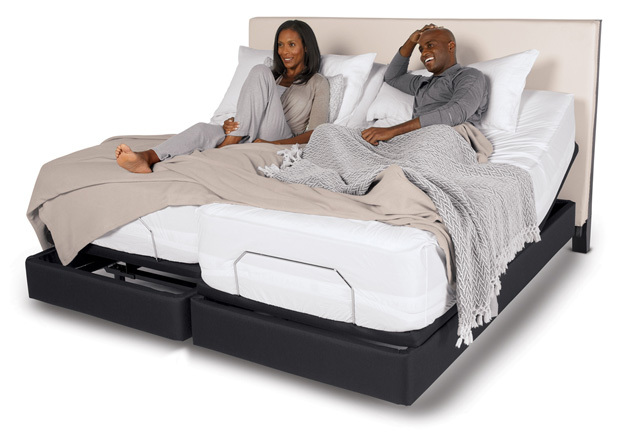 All of our adjustable beds have a 800 pound lift capacity, silent lift motors and each comes with a wireless remote.